Amazon has begun its Black Friday Week deals, which includes a discount on The Wire: The Complete Series Blu-ray box set for only $89.99. This Blu-ray box set collection contains the entire HBO series The Wire (60 episodes, 5 seasons) on 20 discs, and includes bonus features from all five seasons, including 12 audio commentaries by cast and crew; three prequels that explore life before The Wire; never-before-seen gag reel; a Q&A with David Simon and the creative team; and a behind-the-scenes documentary. 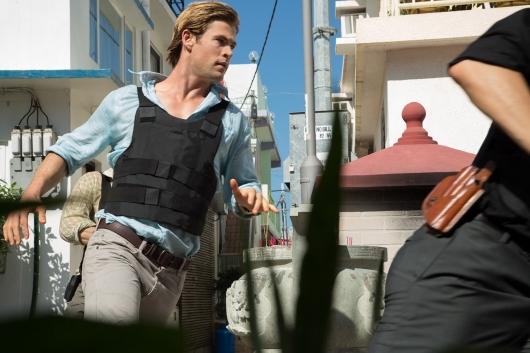 This week’s edition of The Digital Wire Blu-ray Releases is pretty like every week’s edition – a hearty roundup of home video release announcements for titles both vintage and recent. From outer space to the streets of Baltimore, from Miyazaki to Mann, there’s bound to be something of interest to you. So dig in and don’t forget to wear a bib. Part of the deals of the week over at Amazon right now is The Wire: The Complete Series DVD box set for only $77.99 (that’s 61% off the list price of $199.95). This DVD box set collection contains the entire HBO series The Wire, which starred Dominic West, John Doman, Idris Elba, Lance Reddick, Amy Ryan, and many more, on 23 discs (60 episodes, 5 seasons) and includes bonus features from all five seasons, including audio commentaries by cast and crew; three prequels explore life before The Wire; and never-before-seen gag reel. Visit the MAIN SALE PAGE to see more of this week’s deals. 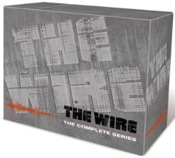 Part of the Gold Box spotlight deal of the day over at Amazon is The Wire: The Complete Series for only $69.99 (that’s 65% off the list price of $199.98). This DVD box set collection contains the entire HBO series The Wire (60 episodes, 5 seasons) on 23 discs and includes bonus features from all five seasons, including audio commentaries by cast and crew; three prequels explore life before The Wire; and never-before-seen gag reel. 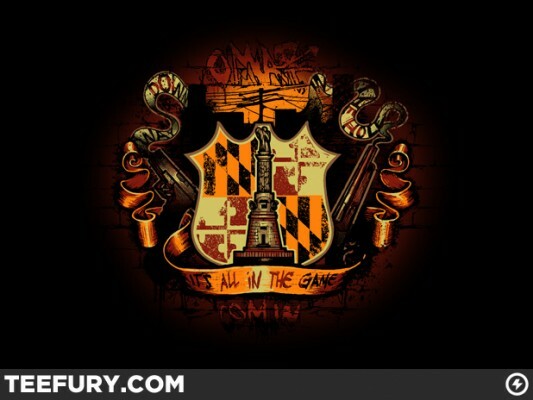 The $10 t-shirt deal of the day over at TeeFury today is The Wire-themed shirt called “It’s All in the Game” by bisqueets. The sale began at Teefury today, Wednesday, March 7, 2012, at midnight EST, and will continue for 24 hours from then, and once it’s over, it will not be sold on the site anymore. Right now, Amazon is selling The Wire: The Complete Series for only $70.99 (that’s 65% off the list price of $199.98). No mention of when this sale ends, but it’s part of the prelude to the site’s Black Friday sales, so grab it now while you can at the discounted price. This 23-disc DVD box set collection contains the entire HBO series The Wire (5 seasons/60 episodes) and includes bonus features from all five seasons, including audio commentaries by cast and crew; three prequels explore life before The Wire; and never-before-seen gag reel. The Gold Box spotlight deal of the day over at Amazon today is The Wire: The Complete Series for only $72.49 (that’s 64% off the list price of $199.98). Note, this sale is valid only for today, August 24, 2011, until midnight PST while supplies last. This 23-disc DVD box set collection contains the entire HBO series (5 seasons/60 episodes) and includes bonus features from all five seasons, including audio commentaries by cast and crew; three prequels explore life before The Wire; and never-before-seen gag reel. The Gold Box spotlight deal of the day over at Amazon today is The Wire: The Complete Series for only $74.99 (that’s 63% off the list price of $199.98). Note, this sale is valid only for today (December 23, 2010) until midnight PST while supplies last. This DVD box set collection contains the entire HBO series (5 seasons) on 23 discs and includes bonus features from all five seasons, including audio commentaries by cast and crew; three prequels explore life before The Wire; and never-before-seen gag reel. This box set has come up on sale a few times before, but I’ve never seen the price drop this low, so if you’re interested in this series, you should definitely grab it now at this low price.